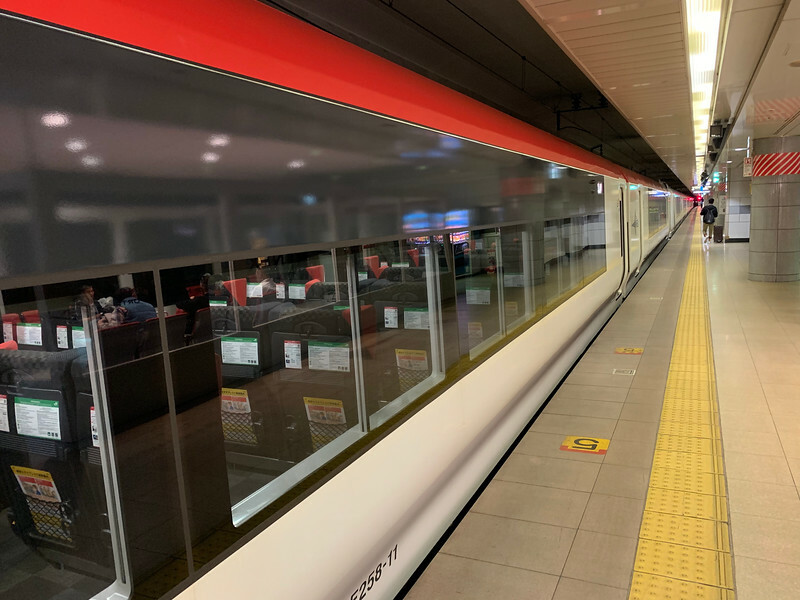 One year ago, I took the Keisei Skyliner from Narita Airport to Shinjuku (Technically I was going to Shin-Okubu so this Keisei Skyliner is very logical). 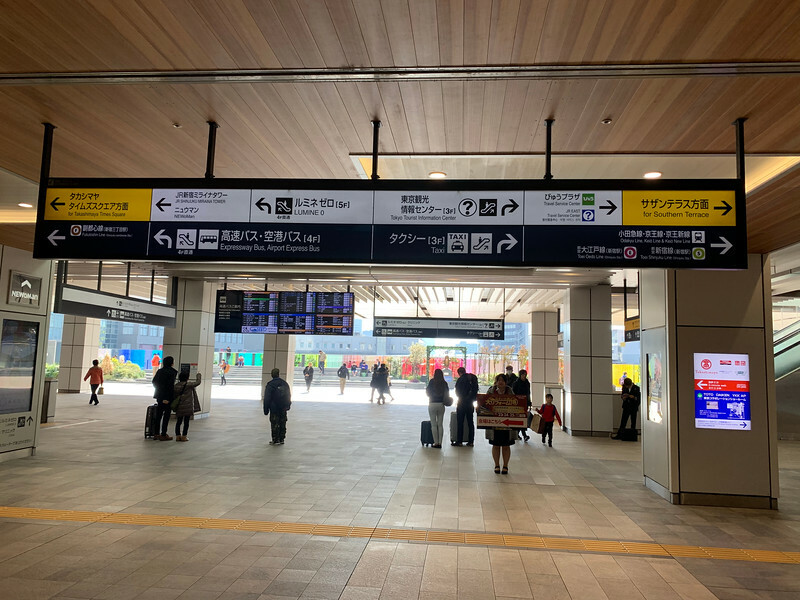 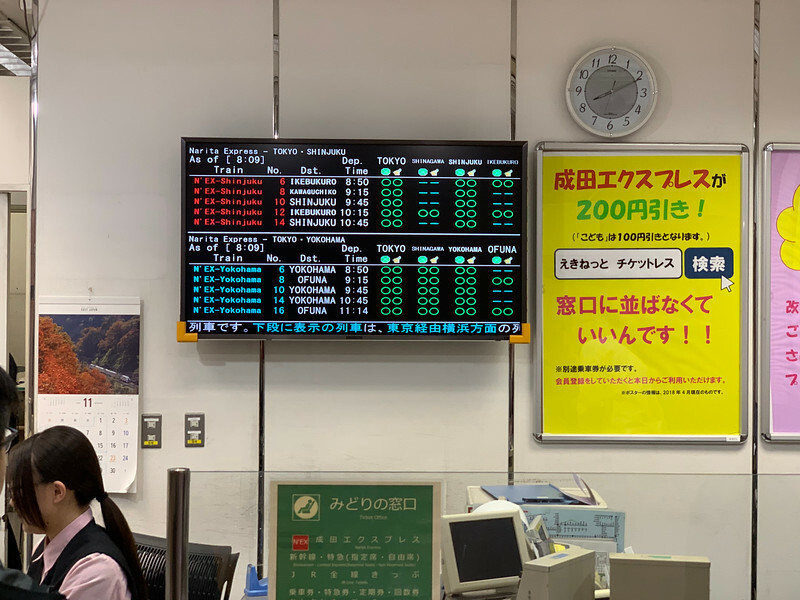 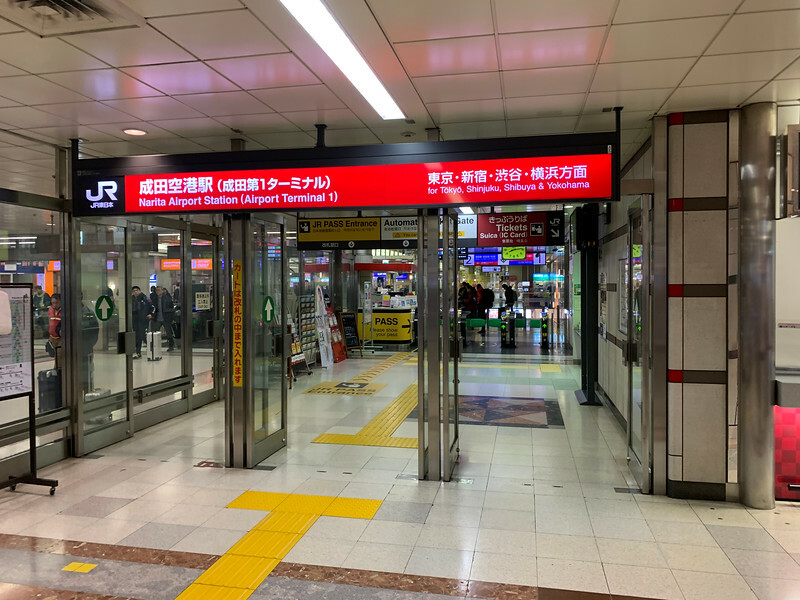 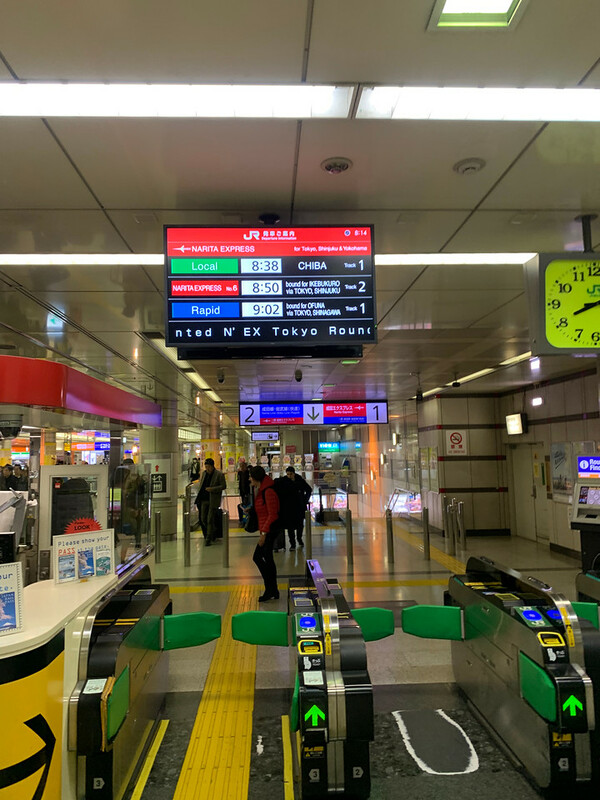 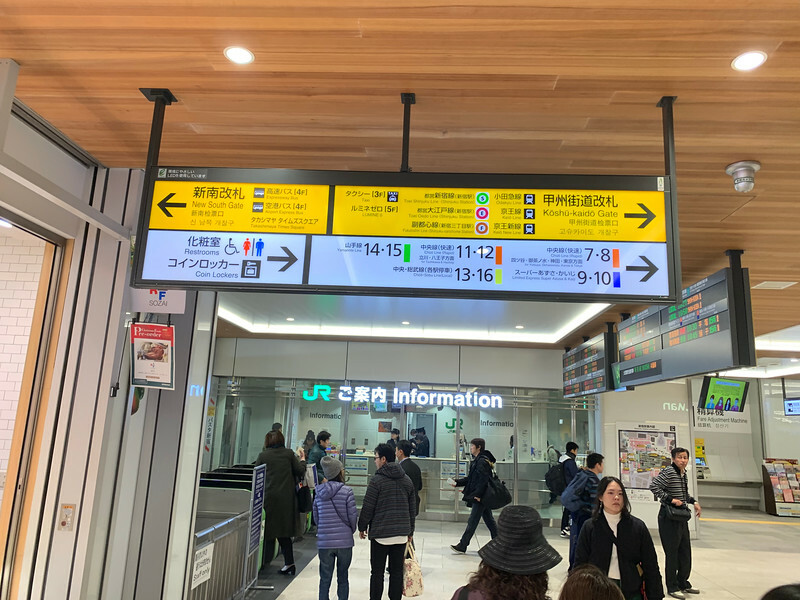 If you are sure that you will be using the N’EX train back from Shinjuku to Airport, then you can get the N’EX Tokyo Round Trip ticket, which is a really good deal. 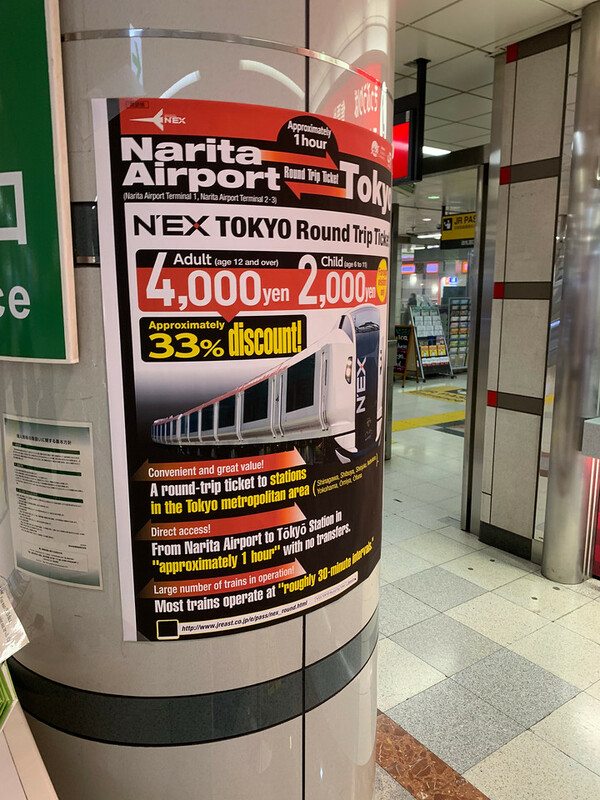 4000 Yen gets you a trip from and to Narita Airport within a period of 14 days. 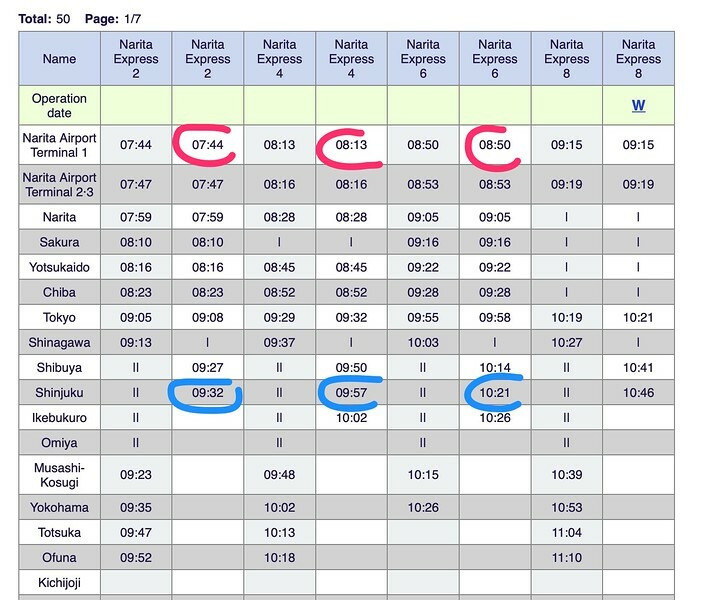 And you can check the time-table here at this link. 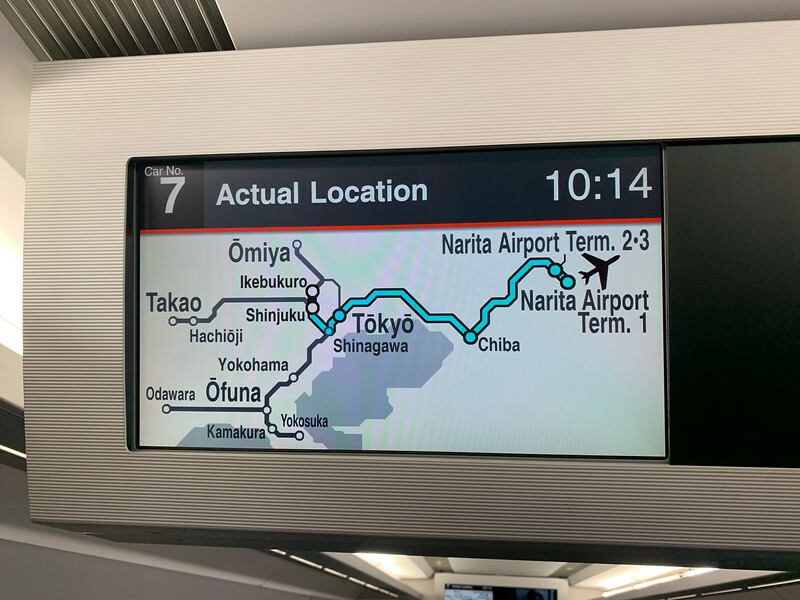 As an example, my flight arrives at Narita Airport at 7:30am. 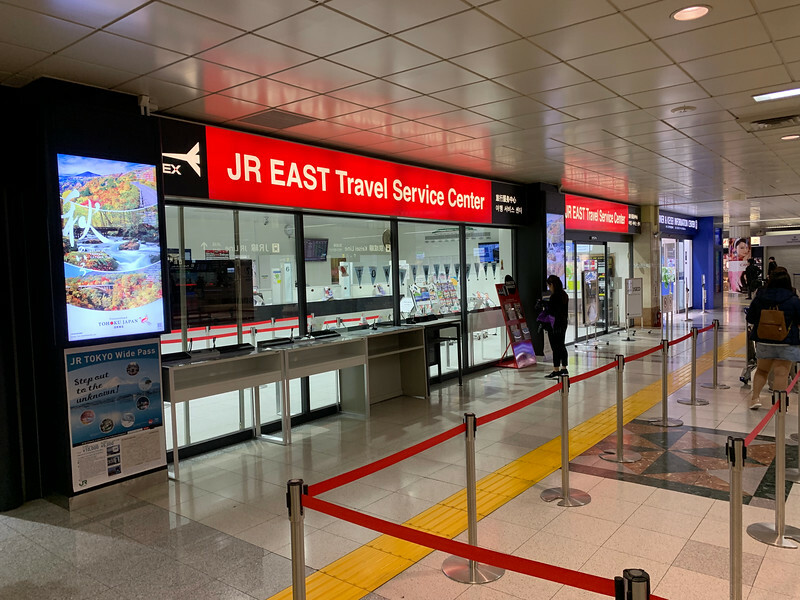 The JR Travel Service Center opens at 8:15am. 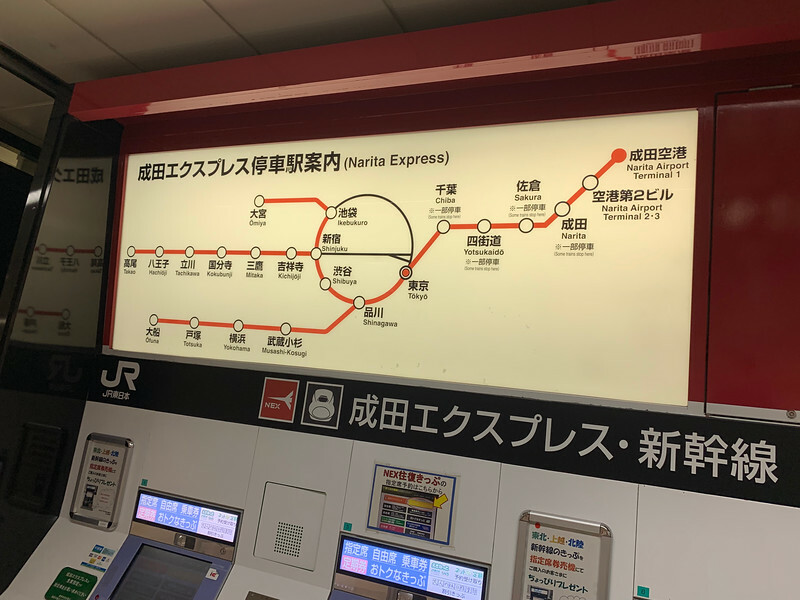 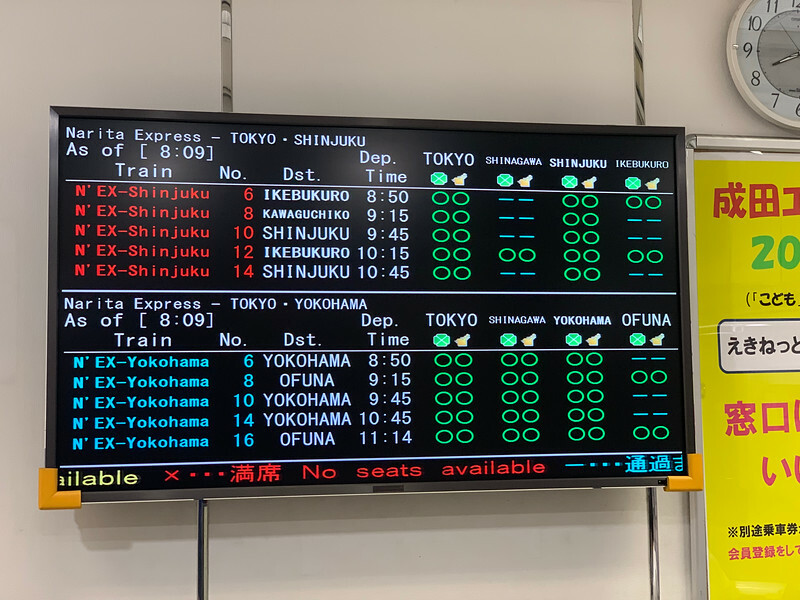 And the closest DIRECT train from Narita AirPort to Shinjuku is Narita Express 6 at 8:50am and reach Shinjuku at 10:21am. 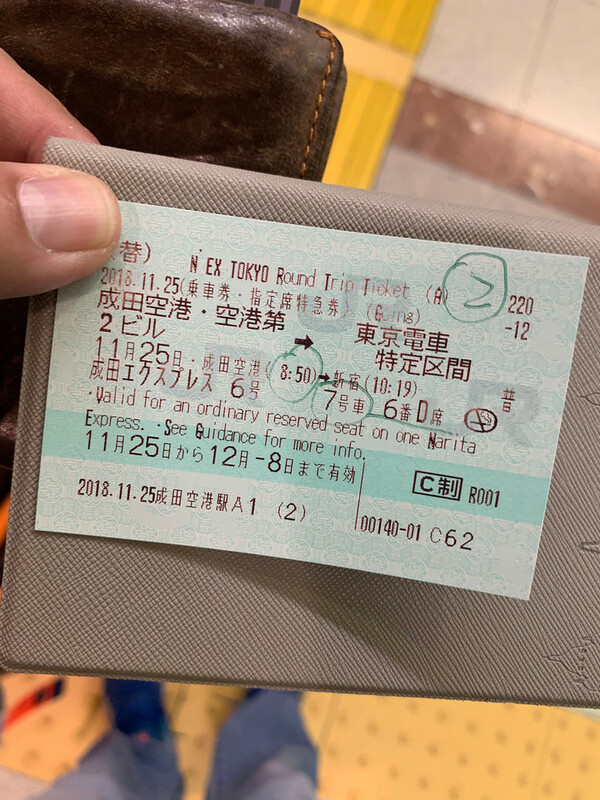 That’s my case…. 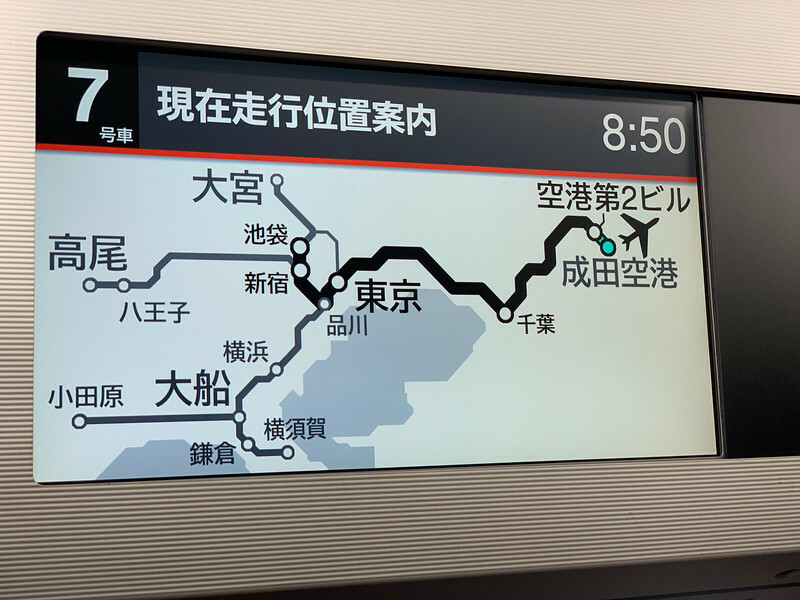 you now get the general idea and can plan your trip accordingly. 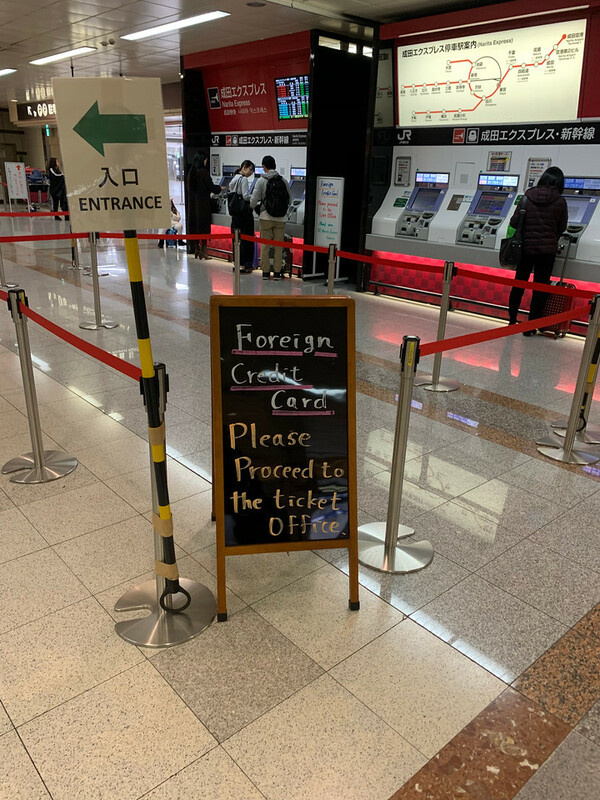 Once you passed the immigration, you can see this sign. 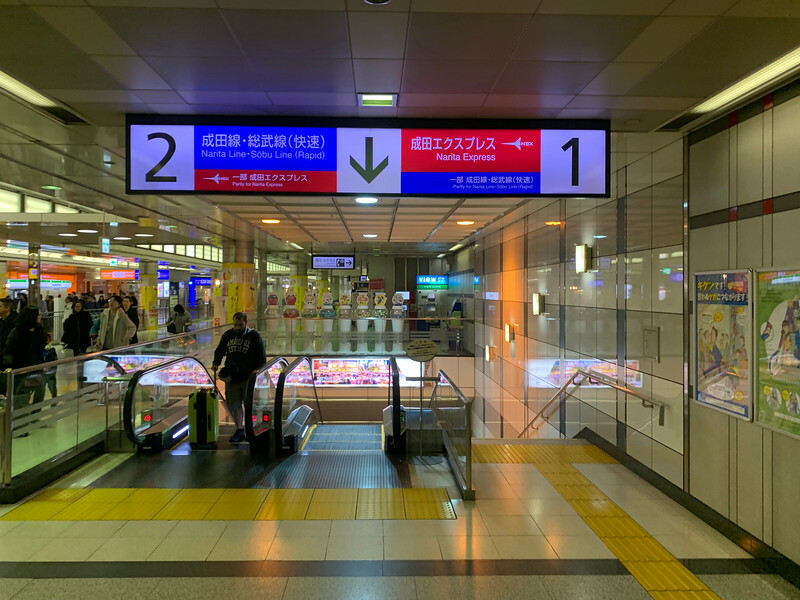 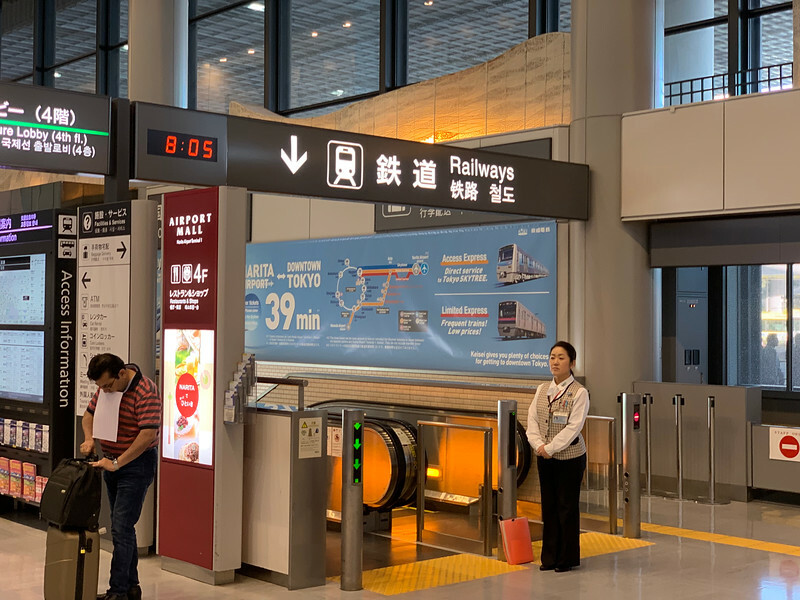 Go down the escalator, make a 180% round (ok.. just turn your body around) and you can then see JR Travel Service Center (which is just next to the Keisei Skyline office I patronised last year). 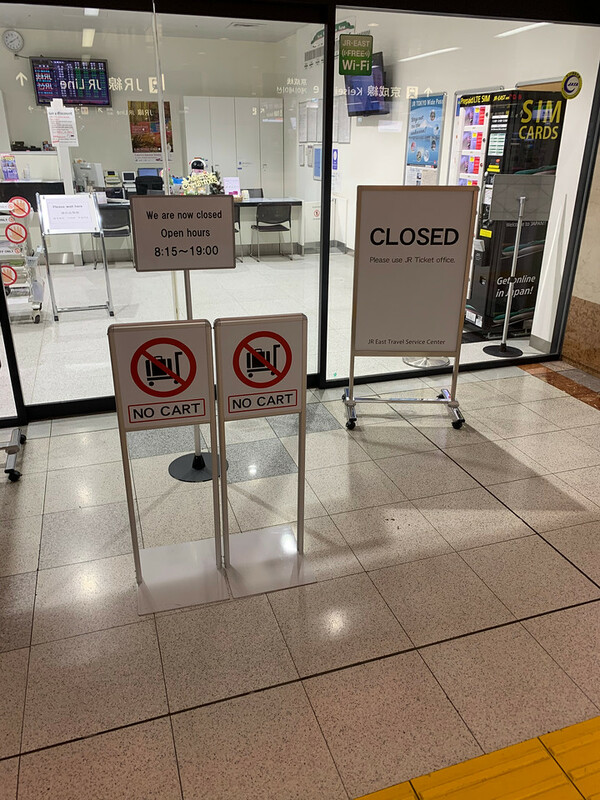 Unfortunately due to the time I arrived, the office was not opened. 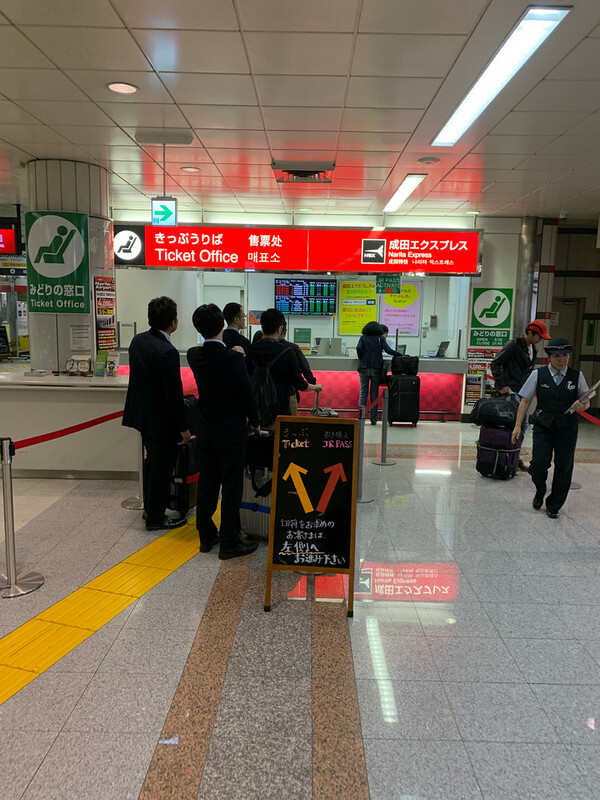 Fear, not, you can use the self service machines or go to the smaller JR ticket office. 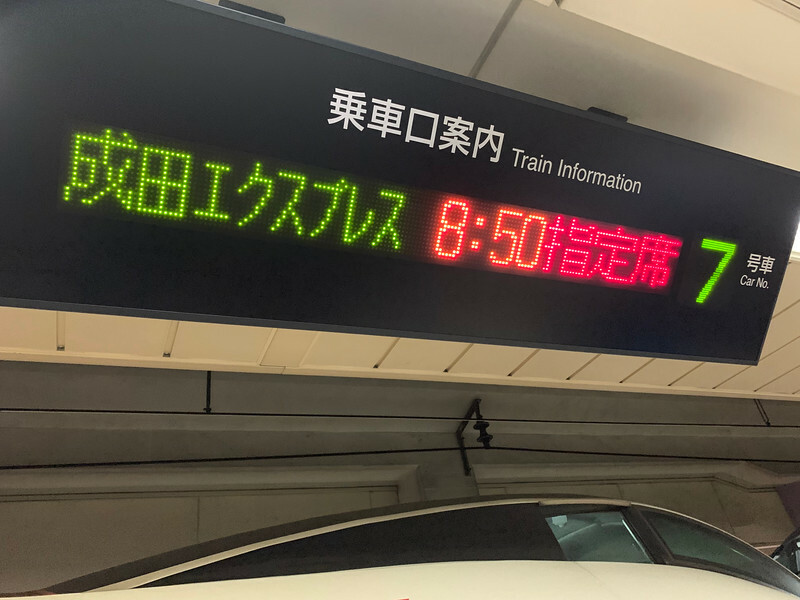 The 8:50 train (which will arrive at Shinjuku at 10:19. 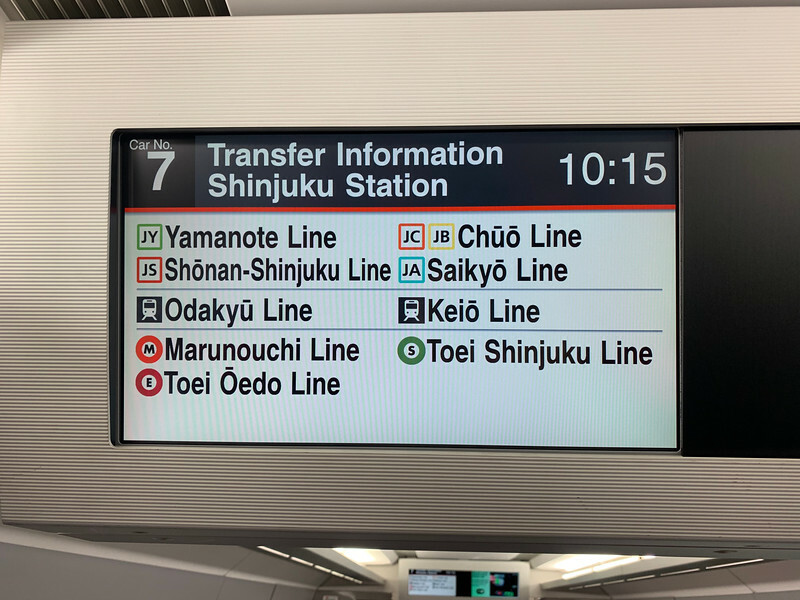 Platform 2 (written by the operator). 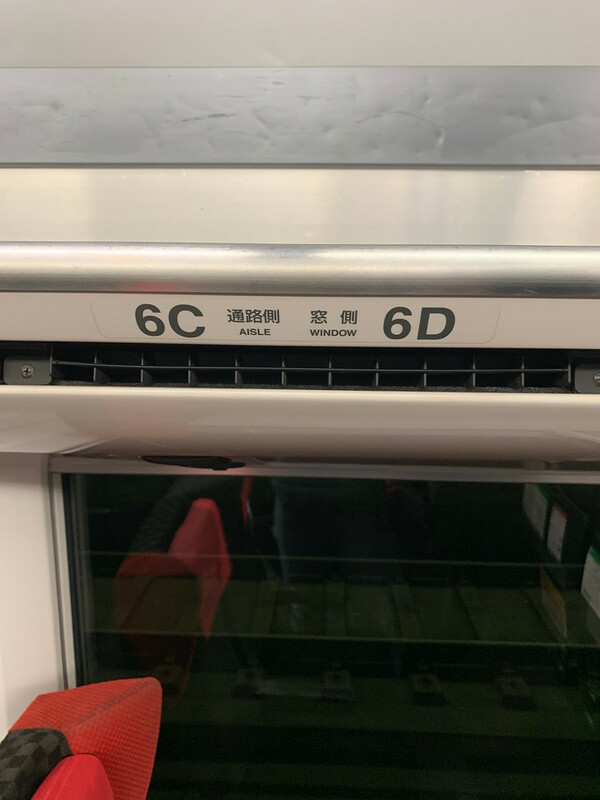 Car number 7 (VERY important). 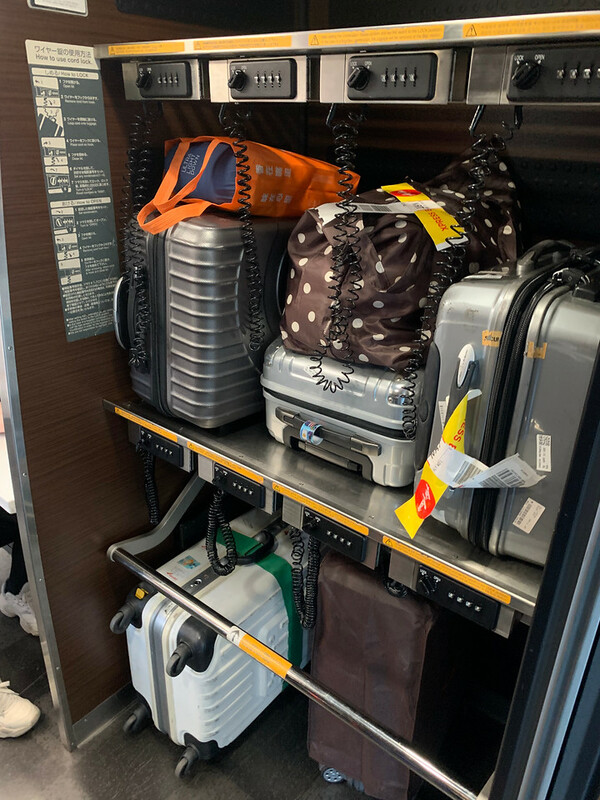 Row 6. 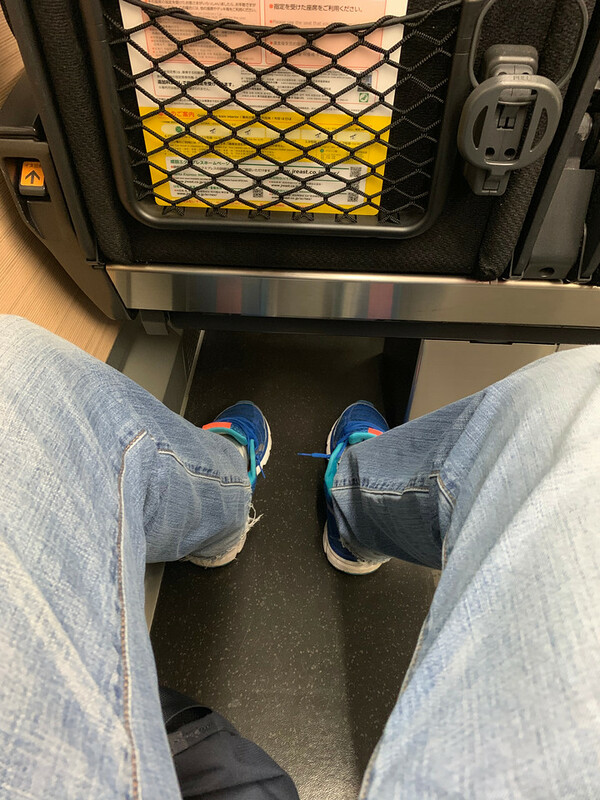 Seat D (Window seat). 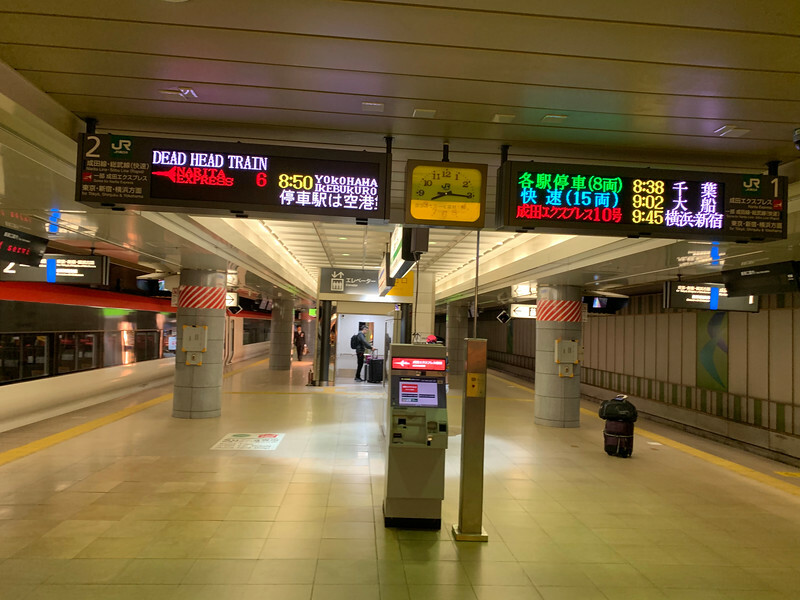 You can see the next train is my 8:50 train. 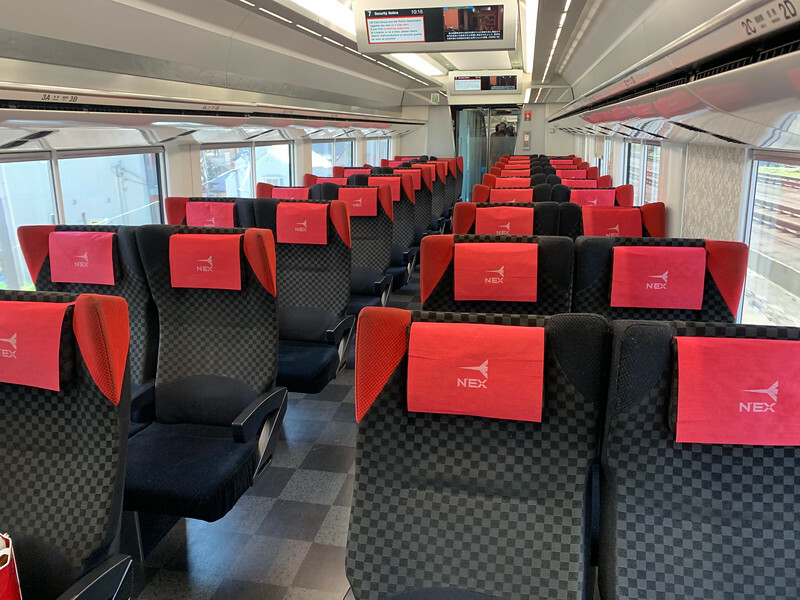 As usual, the trains are clean and nice. 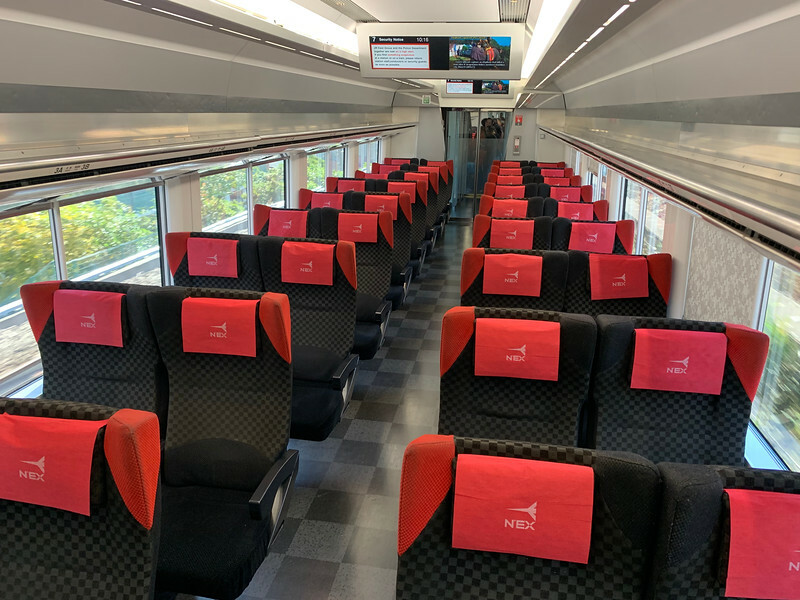 And you can use the free wifi onboard !! 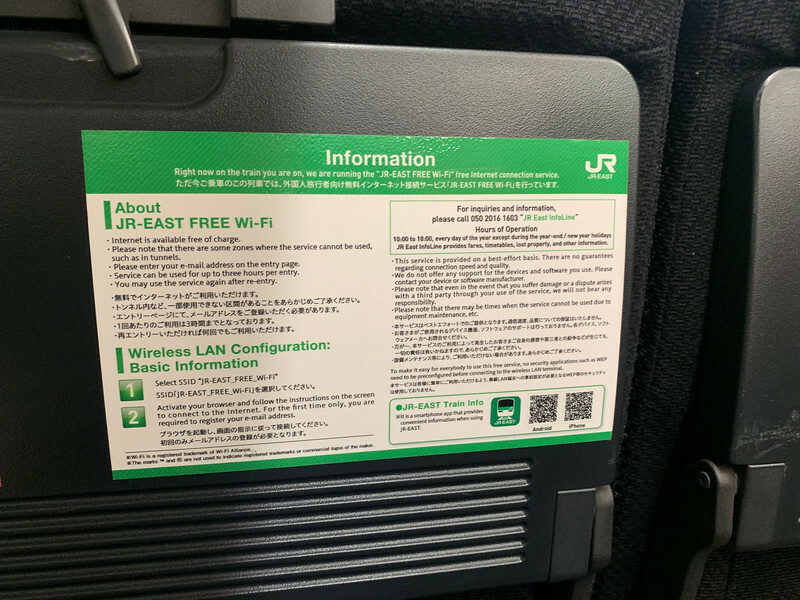 Find the wifi acess instructions on the seat backs, and connecting is fairly straightforward (if it works !!!). 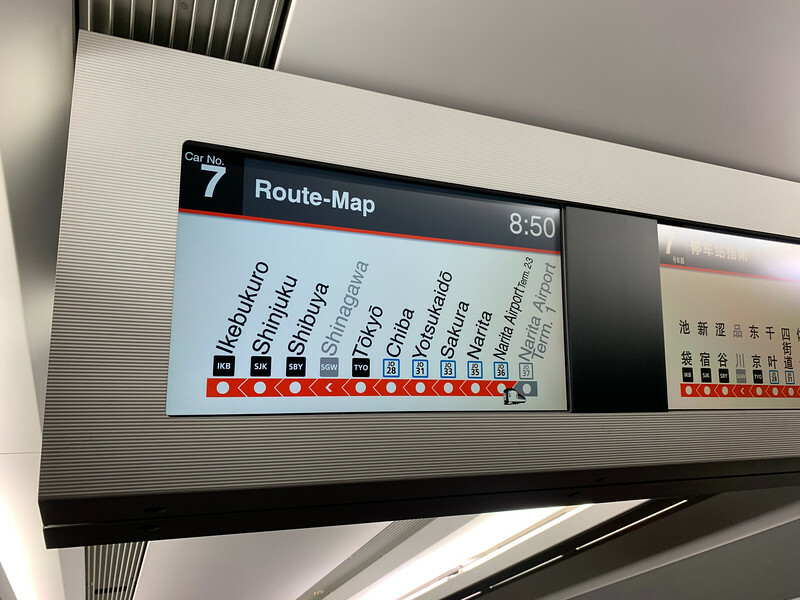 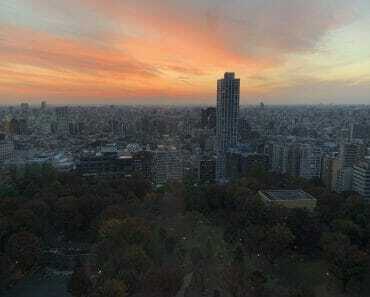 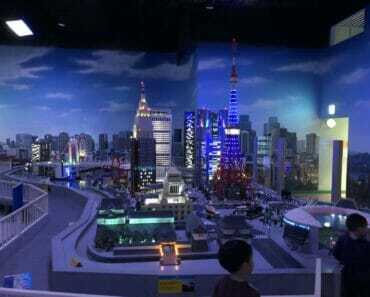 Of course the most important is to reach Shinjuku… the display above will show you in Japanese and English. 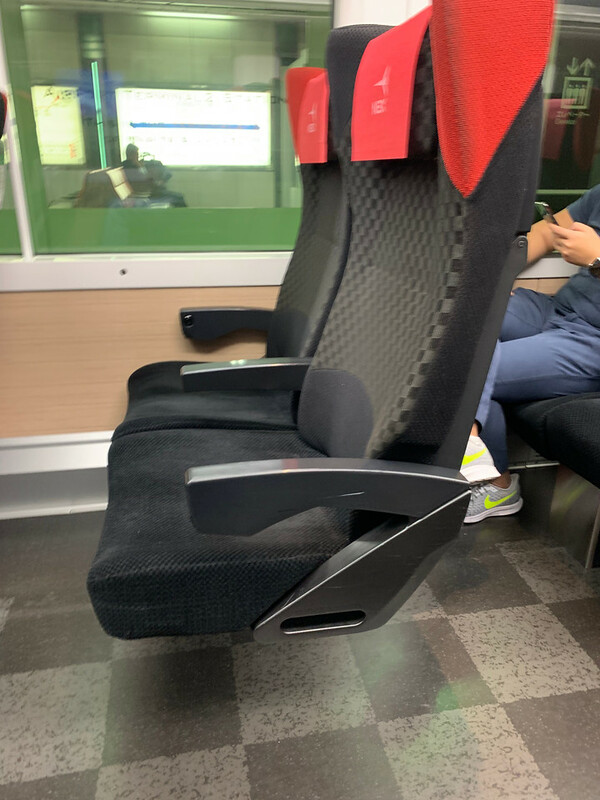 Sit back relax and enjoy the ride…… A lot to see !! 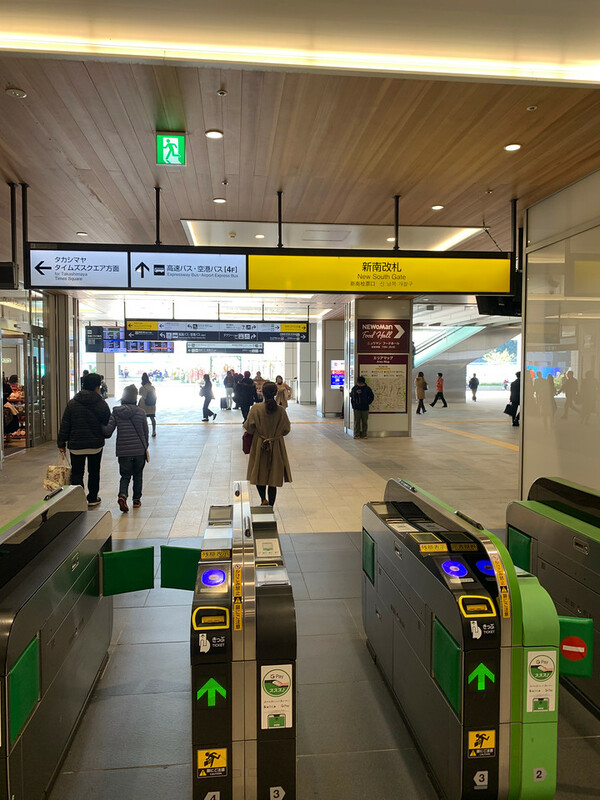 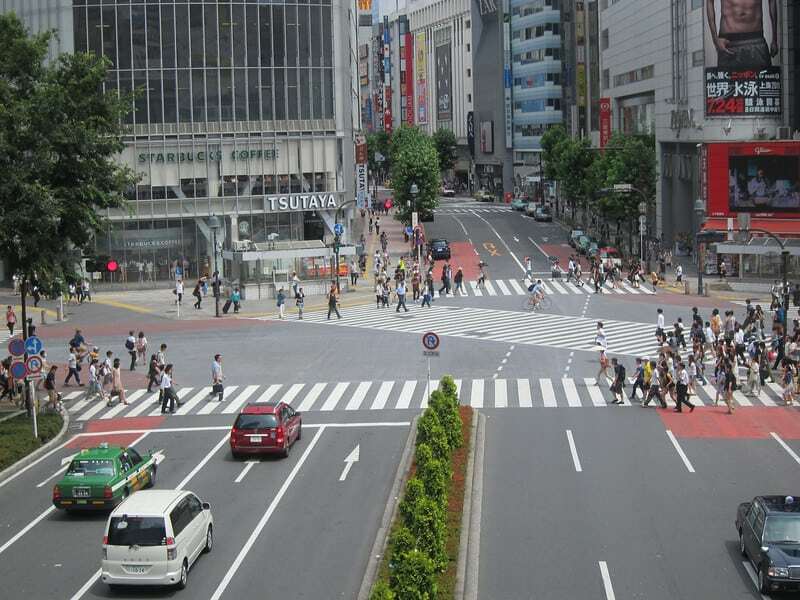 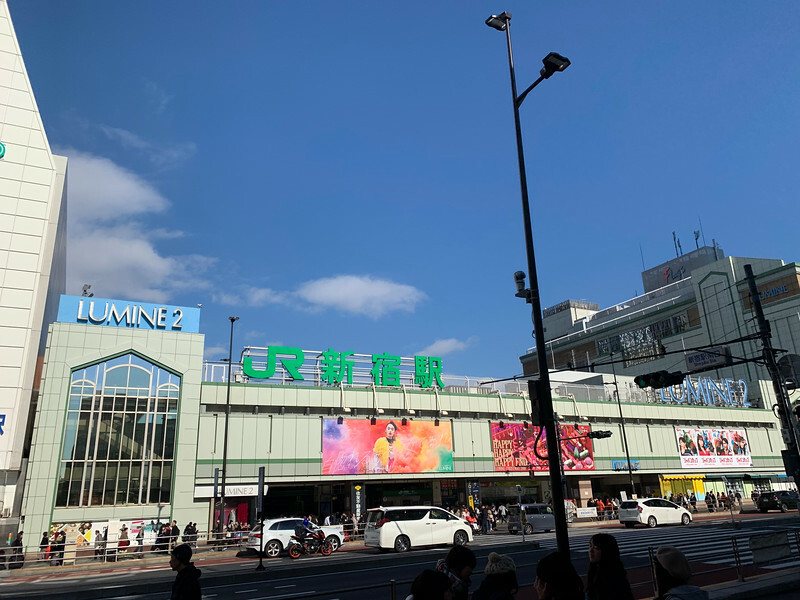 And when you arrive at the Shinjuku station, it is at the New South Gate of the Shinjuku train station. 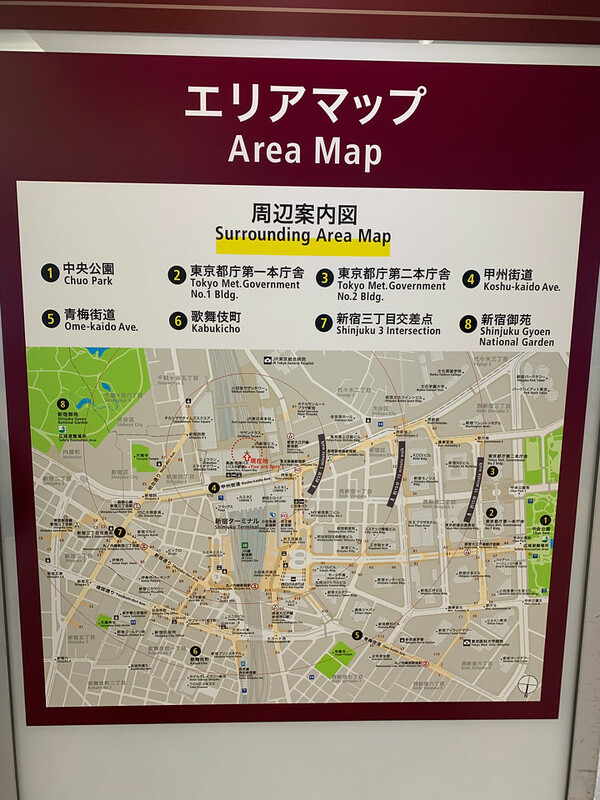 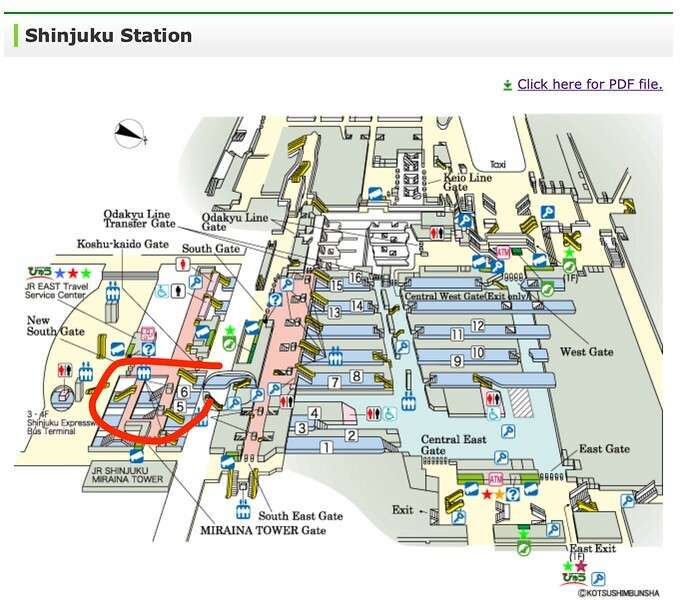 Where the Shinjuku bus terminal is at.